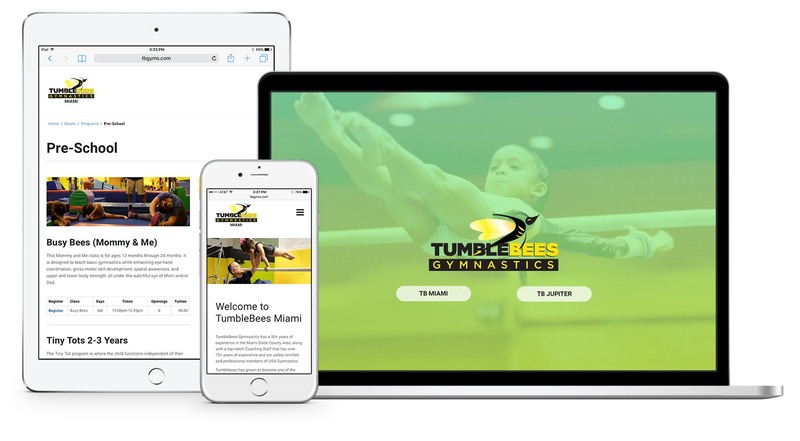 The original request from Tumblebees was to create separate websites with the same branding for each of their two locations. After discussing the request in further detail, it turned out that their primary concern was how visitors would navigate the website and if the locations would be apparent. To avoid the creation of two websites, we were able to use WordPress as the content management system and took advantage of its page hierarchy features to produce a seamless experience for users. 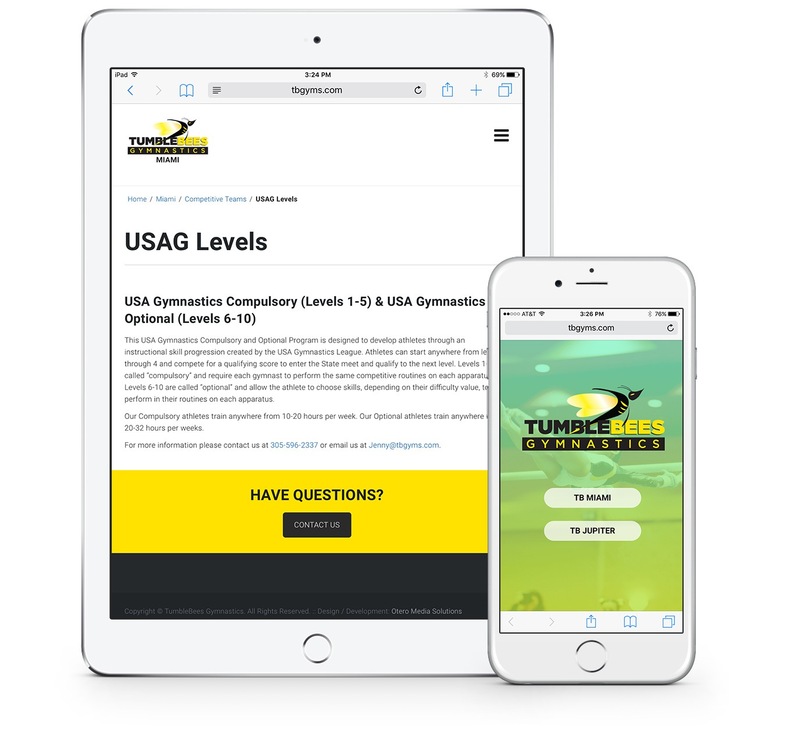 The final result was a visually stunning responsive website developed using a mobile first approach. The project included module integration from JackRabbit, a scheduling and gym management software with the ability to access class schedules and online class signup.